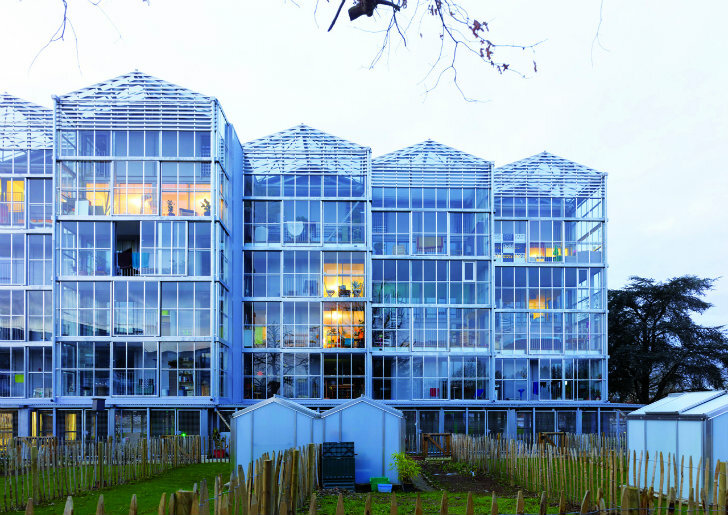 The lucky inhabitants of BORÉAL in Nantes, France not only get to live in gorgeous, greenhouse-like apartments - they also each have their own gardening space! The social housing project has 39 apartments designed by local firm TETRARC, and each unit enjoys a light-filled, glass-clad living space and a garden plot on the ground floor for growing. The innovative project is an exploration of materials, light and gardening as a means towards socially sustainable housing. 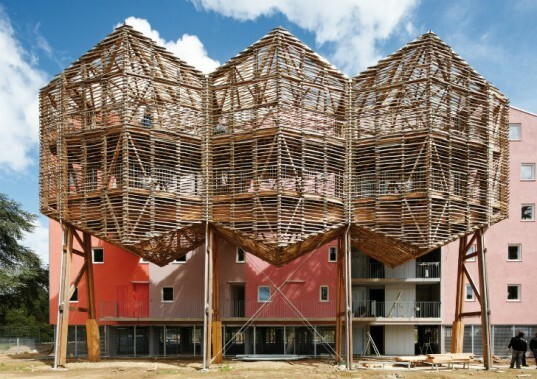 BORÉAL is a social housing project in Nantes, France designed by TETRARC for Habitat 44. The complex is formed from a row of 11 tall and narrow volumes with their own peaked roofs. Inside, there are 39 apartments, 21 of which are for rent with the other 18 for sale. The apartments range in size, and can take up multiple floors. Access is gained to the apartments via playful outdoor staircases with wooden louvers. Individual walkways branch off the main path to each apartment, which heightens privacy for the residents. This sustainable social housing project makes use of high performance systems and energy efficient design for the interior. Each apartment enjoys access to natural daylighting, ventilation, views and its own private greenhouse space. This indoor/outdoor space provides room for play, drying of laundry, work space and much more. In addition to the greenhouse, each apartment also enjoys a plot of land around the building which can be used for growing vegetables or other plants. The gardens encourage sustainable food production and promote neighborhood relationships. Habitat 44 is a social housing project in Nantes, France designed by TETRARC. The complex is formed from a row of 11 tall and narrow volumes with their own peaked roof. Inside there are 39 apartments, 21 of which are for rent and the other 18 are for sale. The apartments range in size, and can take up multiple floors. Access is gained to the apartments via playful outdoor staircases with wooden louvers. Individual walkways branch off the main path to each apartment, which heightens privacy for the residents. This sustainable social housing project makes use of high performance systems and energy efficient design for the interior. Each apartment enjoys access to natural daylighting, ventilation, views and their own private greenhouse space, which extends their living space. This indoor/outdoor space provides room for play, drying of laundry, work space, a greenhouse and much more. In addition to the greenhouse, each apartment also enjoys a plot of land around the building which can be used for growing vegetables or other plants. The gardens encourage sustainable food production and promote neighborhood relationships. Diagram of BORÉAL and garden plots.